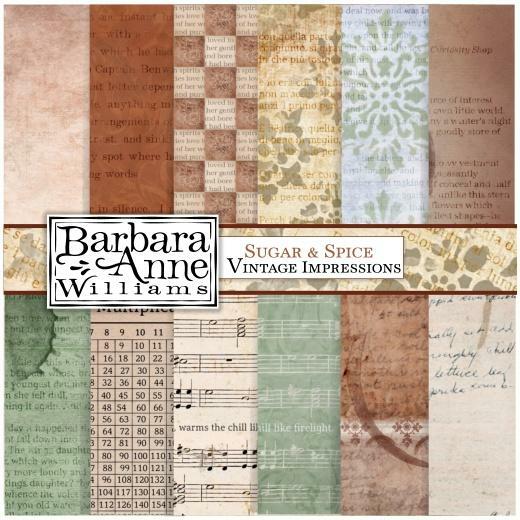 Vintage Impressions Digi Papers pack by Barbara Anne Williams is a collection of original vintage-inspired digi papers. It features both original text and excerpts from favorite classic literature, and varies from lightly to heavily aged. 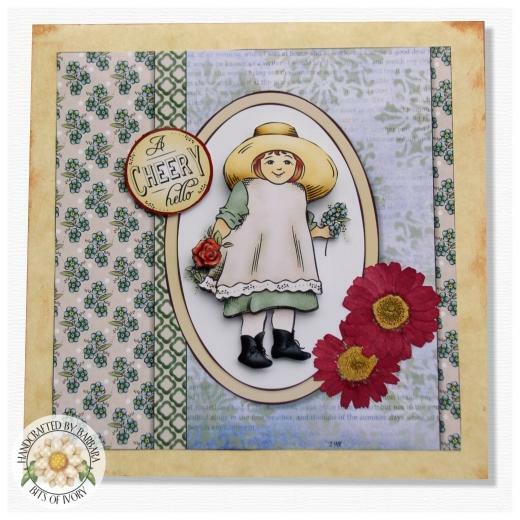 While this set is created to coordinate perfectly with the Sugar and Spice digi stamps and 3D Decoupage sheets, this set is versatile enough to add a special touch to any project with a nostalgic feel. Each digi paper is 8 x 8" and is high print quality so can be safely resized for larger projects.